Pinch me! I’m must be dreaming! 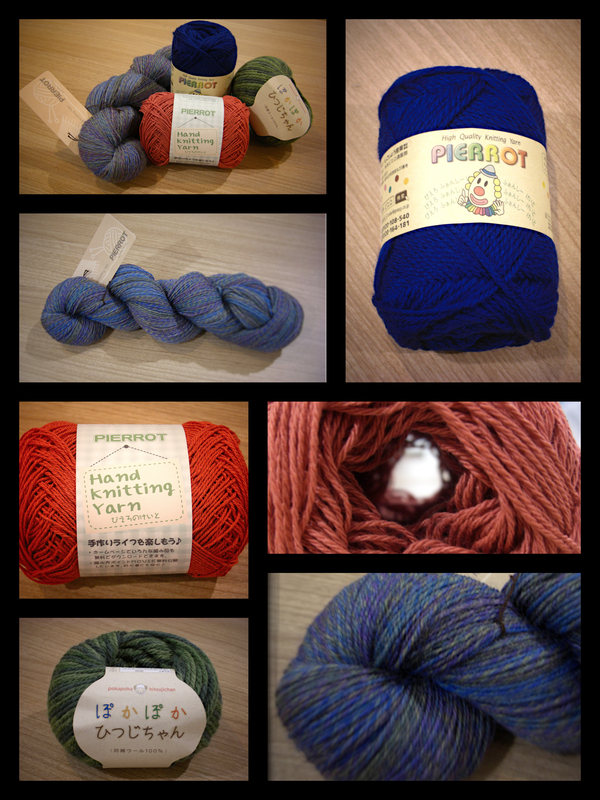 My Pierrot Yarns order has already arrived. Well, that was rather quick-quack. And let me tell you, I am one VERY happy customer. As I outlined in an earlier entry, I ordered one ball each of four different yarns just to for the sake of seeing what the yarns are like and how the online English store is. I placed the order on the 27th and it was here from Japan on the 6th! But, wait! There’s more! 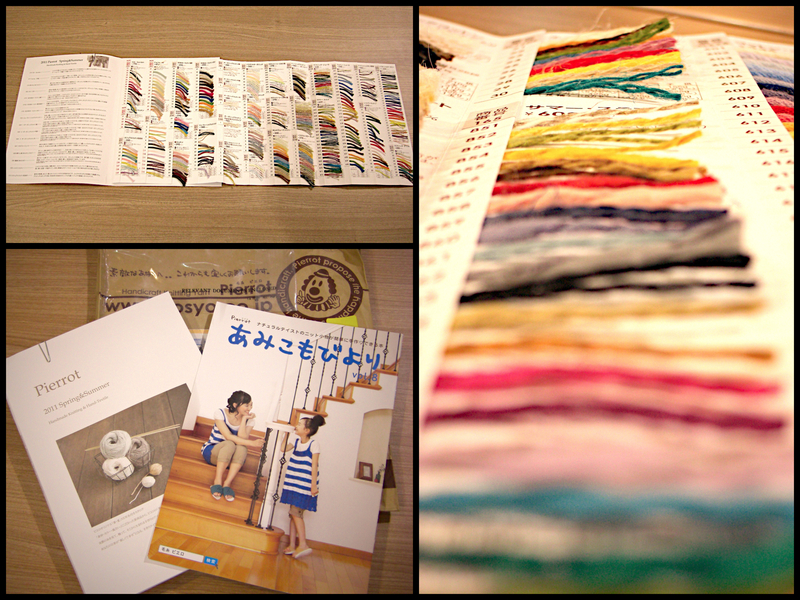 They also sent me a free color card (which you could buy separately on their website for 1000 yen) and a book which showcases some of their yarns and even has a few free patterns (charted, of course). All the yarns are so soft and lovely to touch, and they were sent individually wrapped so they got to me in perfect condition. There was even a little printed letter which had been addressed by hand thanking me for my purchase. All in all, the prices and freight are perfectly reasonable, the service so far has been of a very high standard, and find me someone who’s heart isn’t warmed by thoughtful freebies? I’ll definitely be putting another, bigger order in. Oh my! Those look great! It’s a bummer you don’t share the website with us though! You have us melting before our computer screens but don’t share the secret location of where to buy them! ooh oooh! I have the swatch book but haven’t got around to ordering anything yet… tempted.